We are proud to announce the following productions as part of our festival. All shows will begin at 8pm. See our main festival page for details on multi-show passes. 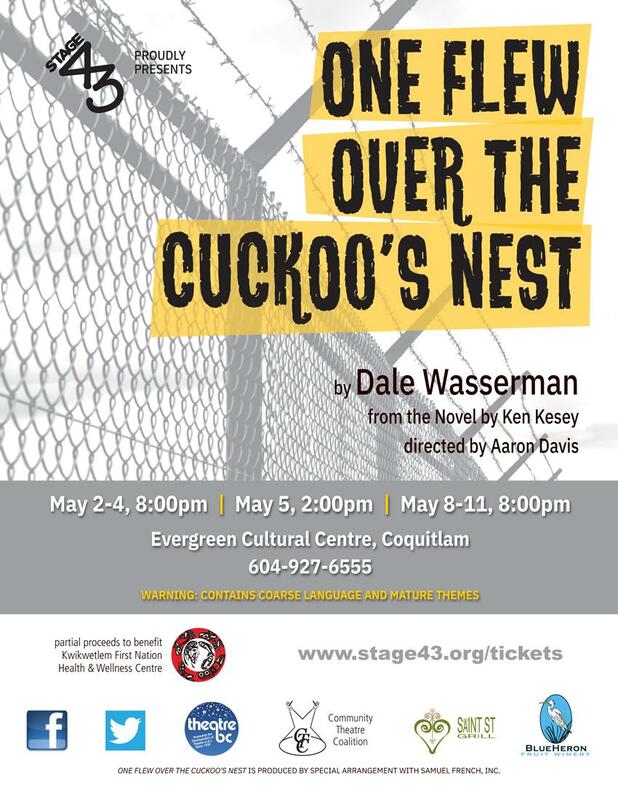 Purchase single-show tickets to One Flew Over the Cuckoo’s Nest. Randle Patrick McMurphy, a criminal who has been sentenced to a fairly short prison term, decides to have himself declared insane so he’ll be transferred to a mental institution, where he expects to serve the rest of his term free of prison labor and in comparative comfort and luxury. He quickly becomes ensnared in a power game with an unyielding tyrant in Nurse Ratched, vying for the hearts and minds of the patients. Meanwhile, the question is just how sane the patients in the ward actually are and whether any of them really belong there. Purchase single-show tickets to Dancing at Lughnasa. 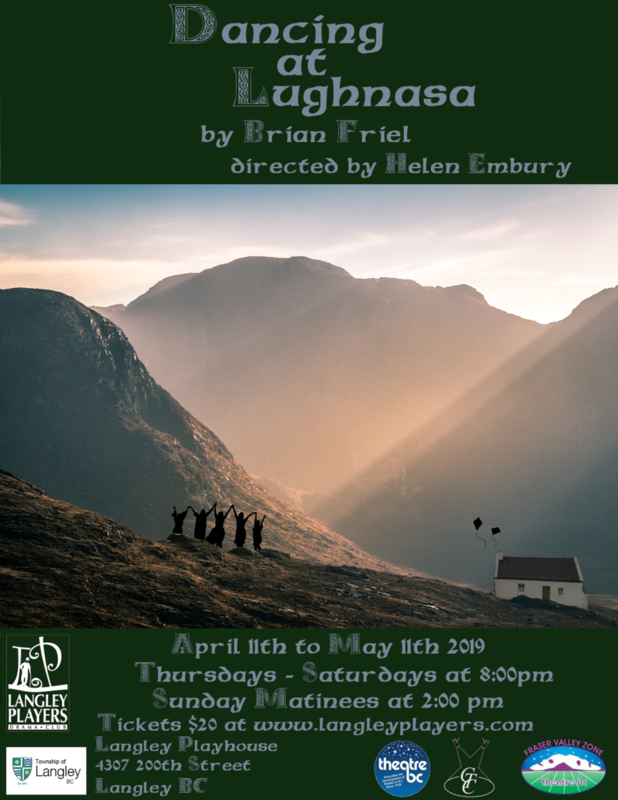 Set in the fictional Irish village of Ballybeg, County Donegal, Ireland, Dancing At Lughnasa is a memory play told from the perspective of the adult Michael. He recalls the summer 1936 when he was 7-years-old living with his mother and four maiden aunts during the festival of Lughnasa (pagan festival of the harvest). Part of the memory includes his Uncle Jack, the eldest of the Mundy family – a priest who had recently returned home after 25 years as a missionary in a Ugandan leper colony. Michael’s father Gerry, a charming and unreliable Welsh man, returns to provide further imbalance as he is only passing through again. The thread of music from a recently acquired radio provides an outlet of joy and dance in the otherwise sober home. The events combine to destroy the foundations of the family forever. Purchase single-show tickets to Sealed for Freshness. Hostess Bonnie invites a group of neighbours over for a Tupperware party. The guest list: perky, rich Jean, her very pregnant sister Sinclair, ditzy-blonde Tracy Ann, and new neighbour Diane, who's made quite a career selling Tupperware. The mix of personalities and martinis consumed lead to absurd hijinks plus revelations of secrets and insecurities. Purchase single-show tickets for Age of Arousal. It is a time of enormous political, emotional and sexual change. People are bursting their corsets with unbridled desire. The woman's suffrage movement is fueled by sheer numbers. women demand rights. Those who protest are " unsexed". But the ride is too strong. Passions erupt and confusion reigns. Purchase single-show tickets for The Curious Incident of the Dog in the Night-time. Fifteen-year-old Christopher has an extraordinary brain: he is exceptional at mathematics but ill-equipped to interpret everyday life. He has never ventured alone beyond the end of his road, he detests being touched, and he distrusts strangers. Now it is seven minutes after midnight, and Christopher stands beside his neighbour's dead dog, Wellington, who has been speared with a garden fork. Finding himself under suspicion, Christopher is determined to solve the mystery of who murdered Wellington, and he carefully records each act of the crime. But his detective work, forbidden by his father, takes him on a thrilling journey that upturns his world. Purchase single-show tickets for Chickens the Musical. Pal escapes from his woes of bankruptcy and immerses himself in the world of raising exotic chickens while his wife, Liza, tries to keep the family farm afloat. Meanwhile, in the chicken coop, two roosters and two hens parallel the couple's life and get down and dirty with the pressures of egg fertilization, the country poultry fair and the question of flying. Purchase tickets for the Awards Night Gala. Catered buffet dinner, awards, dancing, FUN!!! The culmination of the 6 plays in 6 days, when the adjudicator makes her selections of all the outstanding work by cast and crew, and the outstanding production is chosen to represent the Fraser Valley Zone at Theatre BC’s Mainstage in Port Alberni!